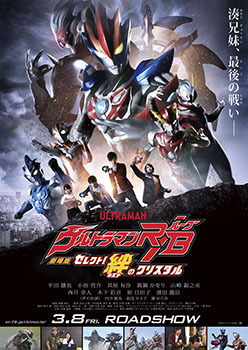 Ultraman Rosso, Ultraman Blu, Ultrawoman Grigio and Ultraman Geed in ULTRAMAN R/B THE MOVIE ～ SELECT! THE CRYSTAL OF BOND. Tsuburaya Productions Co., Ltd. has provided SciFi Japan with an update for ULTRAMAN R/B THE MOVIE ～ SELECT! THE CRYSTAL OF BOND (劇場版ウルトラマンＲ／Ｂ　セレクト！絆のクリスタル, Gekijō-ban Urutoraman R/B Serekuto! 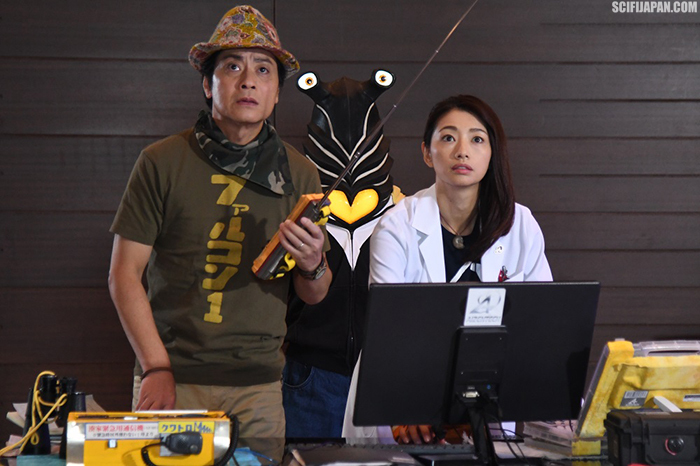 Kizuna no Kurisutaru) with new information, poster art, large photos and a trailer. 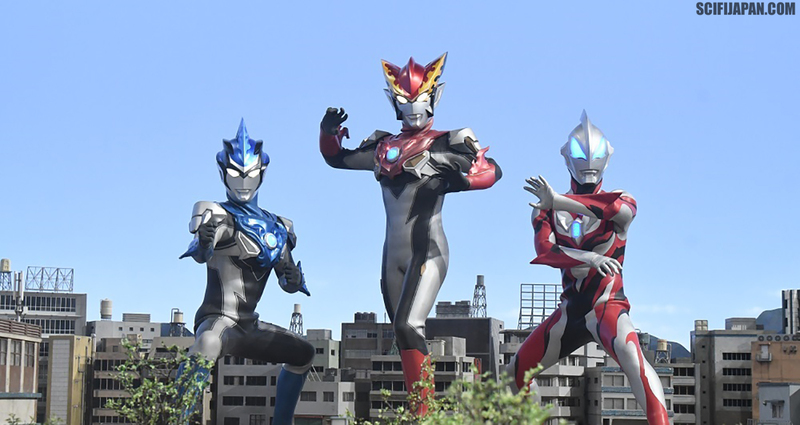 The latest Ultraman theatrical feature film will open in Japanese cinemas on March 8, 2019. ULTRAMAN R/B THE MOVIE continues from the ULTRAMAN R/B (RUEBE) [ウルトラマンＲ／Ｂ(ルーブ), Urutoraman R/B (Rūbu)] television series that ends its broadcast run this Saturday, December 22. ULTRAMAN R/B was the first Ultraman series to feature, from the start, two brothers who transform into Ultramen… Katsumi Minato/Ultraman Rosso (Yuya Hirata) and Isami Minato/Ultraman Blu (Ryosuke Koike). 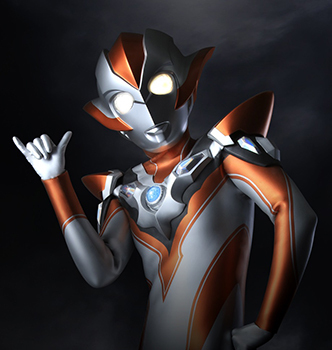 In the movie, Asahi Minato (played by Arisa Sonohara), the younger sister of the Minato Brothers, will transform into a new female hero, Ultrawoman Grigio. 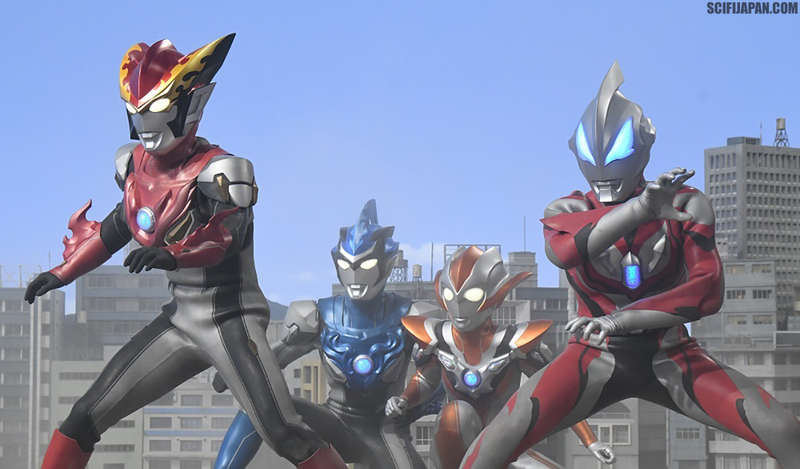 With the mysterious power of the Makoto Crystal, which is filled with the hearts of the Minato Brothers, Ultraman Rosso, Ultraman Blu and Ultrawoman Grigio will merge and transform into their ultimate battle form, Ultraman Groob. 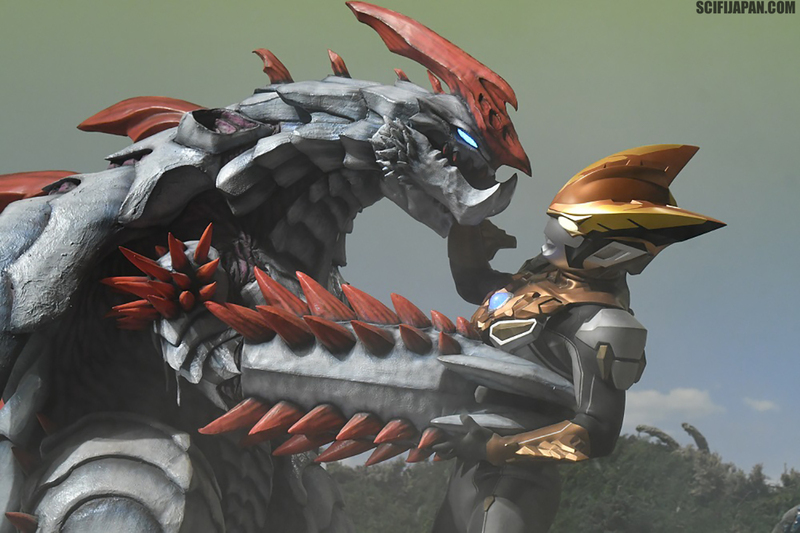 Tsuburaya Productions has also revealed that singer and voice actor Yuma Uchida (GUNDAM franchise, SWORD ART ONLINE II, TOKYO GHOUL: RE) will provide the voice for the film’s villain, the mysterious Ultraman Tregear. It was previously announced the theme song for ULTRAMAN R/B THE MOVIE would be sung by Takeshi Tsuruno, who played Shin Asuka/Ultraman Dyna in the ULTRAMAN DYNA (ウルトラマンダイナ, Urutoraman Daina, 1997-1998) television series. Tsuruno will now be joined by singer-songwriter DAIGO, who played Nozomu Taiga, the human host of Ultraman Zero, in the movie ULTRAMAN SAGA (ウルトラマンサーガ, Urutoraman Sāga, 2012). With ULTRAMAN GEED (ウルトラマンジード, Urutoraman Jīdo, 2017) lead Tatsuomi Hamada guest-starring in the film as Riku Asakura/Ultraman Geed, ULTRAMAN R/B THE MOVIE is truly a collaboration of former Ultraman stars. 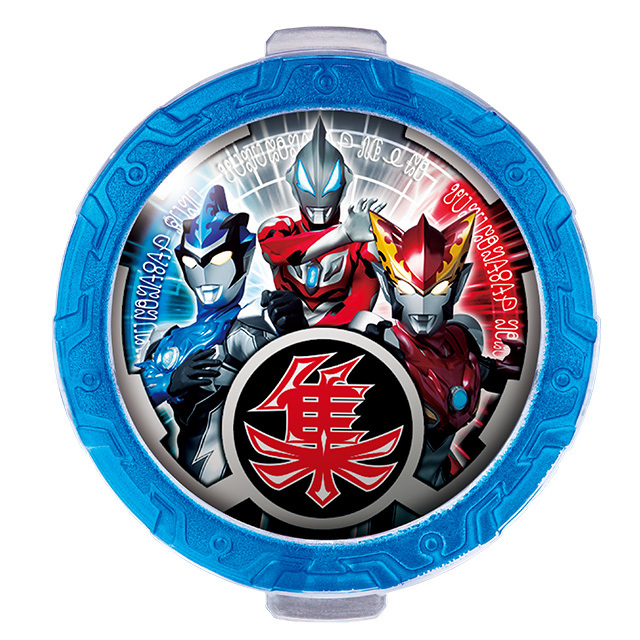 With the mysterious power of the Makoto Crystal, which is filled with the hearts of the Minato Brothers, Ultraman Rosso, Ultraman Blu and Ultrawoman Grigio merge and transform into the ultimate battle form. Asahi Minato, the younger sister of the Minato Brothers, transforms into this Ultrawoman. She is not well trained in fighting yet but backs up her allies with her defense power and special ability to quickly heal others. 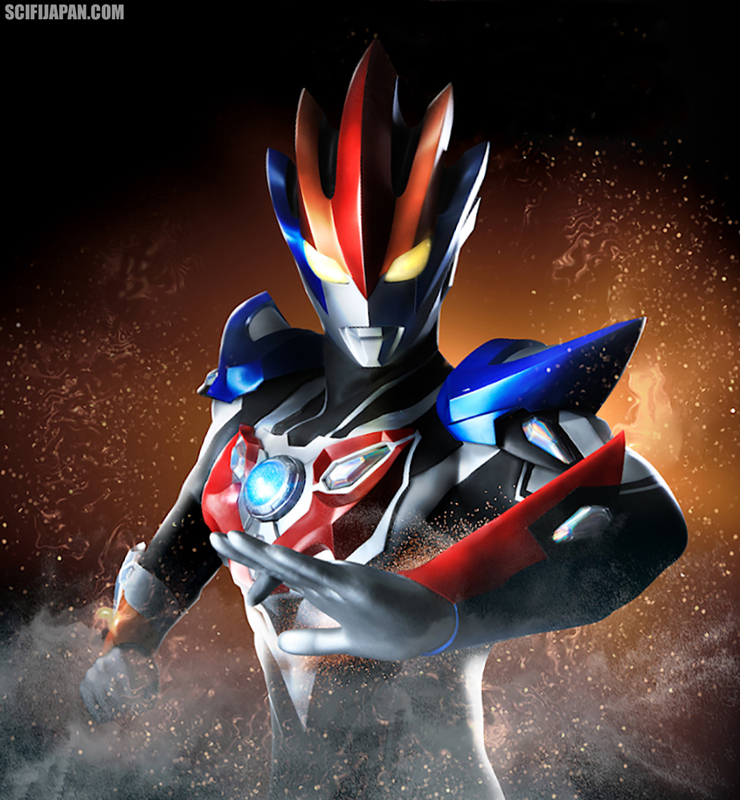 A mysterious warrior who has the same strong fighting skills as Ultraman Groob and Ultraman Geed Ultimate Final. A year has passed since the last monster appeared in Ayakashi, hometown of the Minato Family. The family has been living peacefully during that time. Isami and his sister Asahi have found their dreams and are striving to reach them, but older brother Katsumi is still wondering what he wants to do in the future. Katsumi decides to visit Toi, an old friend from high school friends who was training to become a game creator. However, he had already quit working for a gaming company and was living alone in his house, withdrawing from social life. Katsumi was shocked to see what has happened to Toi. An evil voice that called himself “Tregear” had entered Toi’s isolated heart. 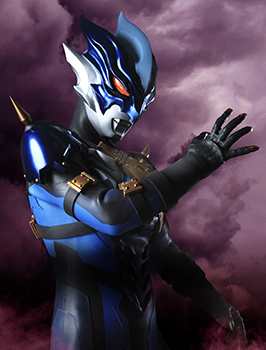 Tregear also quickly influences Katsumi; convincing him to fly off into outer space to a distant world where monsters live. Meanwhile, the monster Snake Darkness has appeared on Earth. 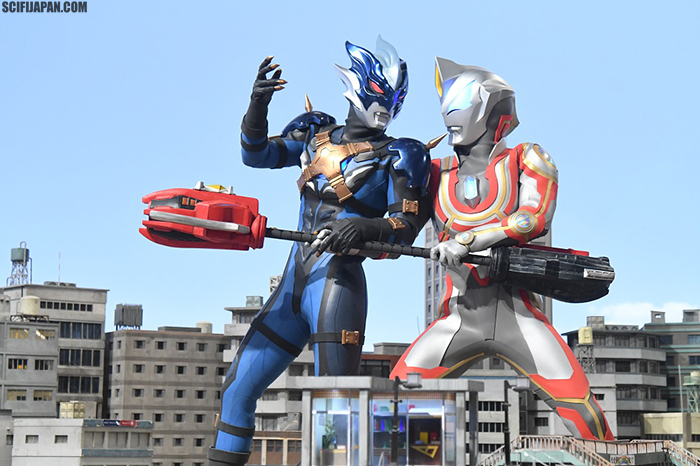 Isami transforms into Ultraman Blu to fight the beast. He is assisted by Riku Asakura (Ultraman Geed), who has come from an alternate dimension. Will Katsumi be able to come back to his family? What is the true identity of the evil Tregear, and what is his plan? The power of the bond will work miracles..! Advance tickets are now on sale at theaters nationwide, plus Ultraman events and official memorabilia shops. Customers have a few different options to choose from. · General Tickets are for high school-age students and older. · Child Tickets are from 3 years old to junior high school-age students. Ticket buyers will receive a free limited edition R/B Crystal, while supplies last. * The R/B Crystal is not being sold separately. Lawson Ticket is offering a limited edition advance ticket for ULTRAMAN R/B THE MOVIE. 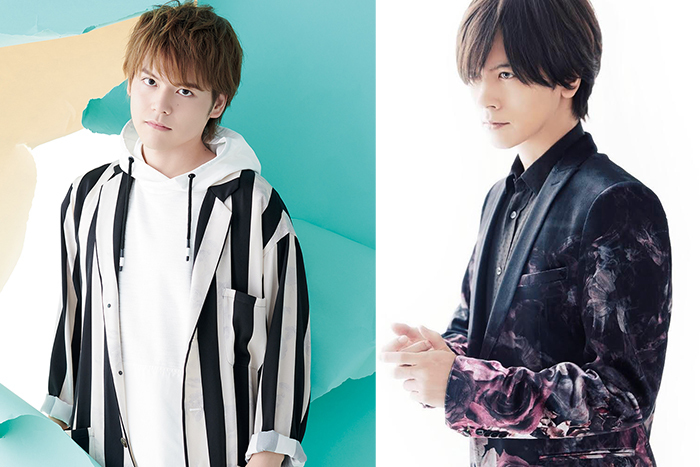 Customers who purchase the ticket from Lawson’s Loppi ticket machines (multimedia terminals set up in convenience stores) through January 31, 2019, will also receive a set of 5 bromides (photo portraits) depicting characters from the film. Additional details are available at l-tike.com/rbmovie. *Not sold at all movie theaters.